Vitamin C is a powerful antioxidant which support healthy bones, cartilage, teeth, and gums. 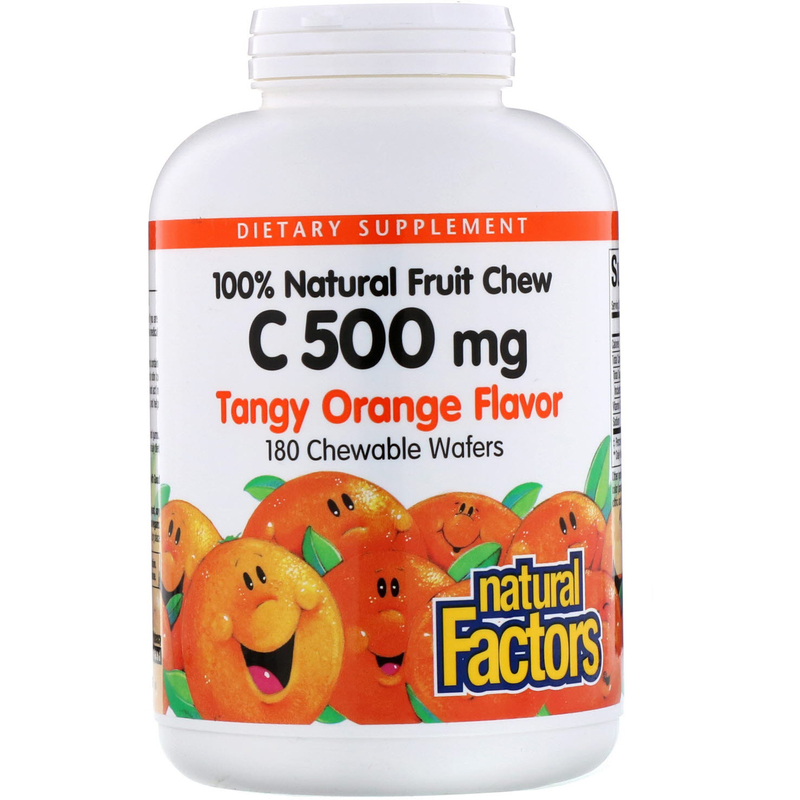 It helps protect cells against free radical damage and vitamin C deficiencies in the daily diet and supports healthy cell growth. 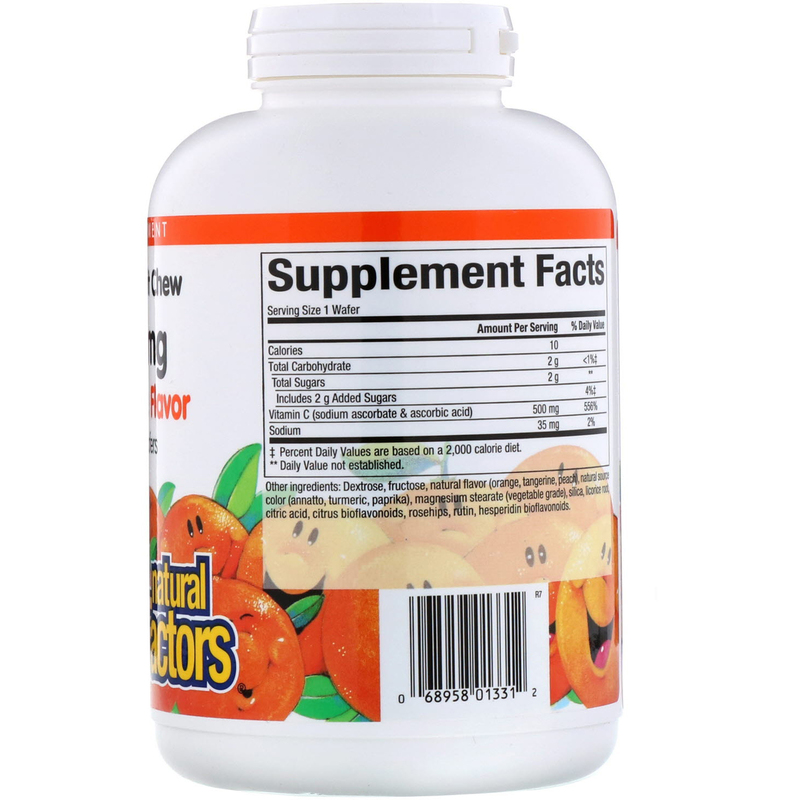 Dextrose, fructose, natural flavor (orange, tangerine, peach), natural source color (annatto, turmeric, paprika), magnesium stearate (vegetable grade), silica, licorice root, citric acid, citrus bioflavonoids, rosehips, rutin, hesperidin bioflavonoids. Contains no artificial preservatives or sweeteners; no dairy, wheat, gluten, yeast, soy, egg, fish, shellfish, animal products, tree nuts, or GMOs.